The Lake Oswego girls basketball team knows what it wants to do. The Lakers, now led by first-year coach Jake Anders — the school's longtime baseball coach — just want to get better. Sure, they also want to win games and they want to make the state playoffs, but Anders — who has coached youth and club basketball for the last seven years — and Lake Oswego understand that all that good stuff comes from succeeding in their primary goal. "Our goal is to not worry about league standings and to concentrate on getting better every day," said Anders, who succeeds Nya Mason following her three-year stint as head coach. "Our goal is to practice well every day and establish a culture that allows each player to reach their potential. If we take care of that, the rest takes care of itself." 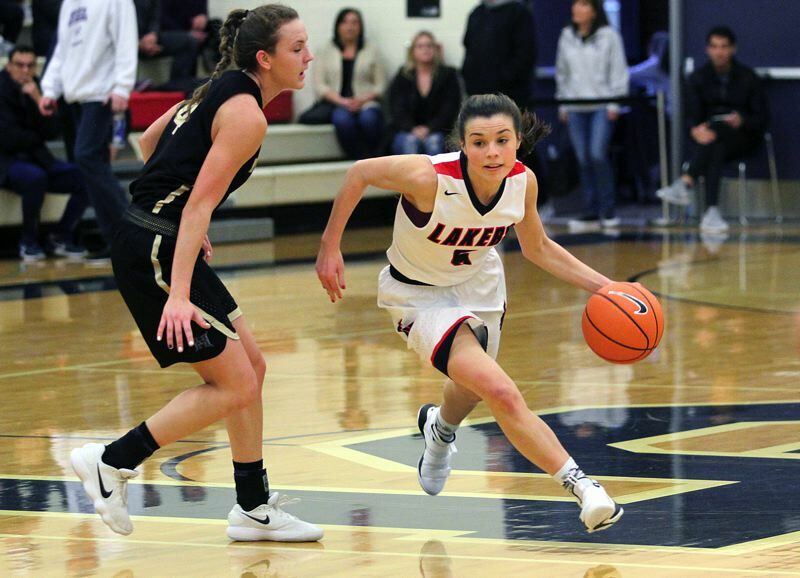 The 2017 Lakers had some good moments — winning two of their first four games, winning two straight during Three Rivers League play and reaching the Class 6A state playoffs — but are aiming for better things this year, their team led by 5-foot-9 senior guard Taylor Anders and 5-6 senior guard Katy Gilbert — both honorable mention all-league selections a year ago. "They both bring athleticism and competitive knowledge (to the team)," Jake Anders said, noting that both are four-year starters, college lacrosse signees (Taylor Anders at Fresno State and Gilbert at Dartmouth) and three-time state champions in lacrosse. Also back with varsity experience are 5-6 sophomore guard Janie Ruttert, 5-7 sophomore guard Emma Jeanson, 5-7 sophomore guard Macy Douglass, 5-7 senior guard Rylee Sutherland and 5-6 junior guard Megan Woolard. "Janie Ruttert started all of last year … and is a very talented player. She is a full-time starter who will provide valuable time, scoring and basketball IQ," Jake Anders said, adding that Jeanson, Douglass and Sutherland "are all returning varsity players who saw valuable minutes last year. They will all be starters at different times of the season." New to the Laker varsity team are 5-5 freshman guard Kate Anders, 5-6 senior guard McKinley Mullen and 5-10 freshman post Lily Carlson. "Kate Anders and Lily Carlson … will be valuable at different times of the year," Jake Anders said, adding that Mullen "is an athletic senior who is also a lacrosse player … working her way back into basketball. (She) has been a great addition to the team this year." Another varsity player from a year ago, sophomore post Kilyn Dawkins, transferred to Southridge. While the Lakers are aiming at better results this year — they finished eighth in the TRL in 2017, finished 7-18 overall and lost in the first round of the state playoffs — they know that nothing will come easily in the Three Rivers League. "I know that Tigard, West Linn and some others are very talented. We have our hands full," Jake Anders said. "Our league is one of the toughest in the state and our goal is try and compete at that level every night. We have a lot of respect for the quality of players and programs in our league." • To read the Lakeridge girls team preview, click here. • To read the West Linn girls team preview, click here.